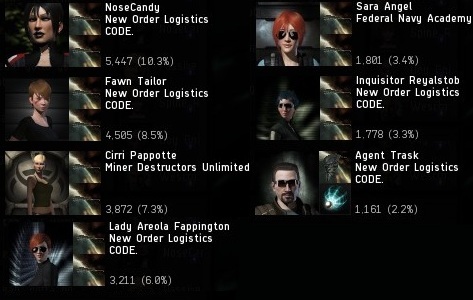 The Orca is a special ship. Even in the midst of the fury of the Gallente Ice Interdiction of 2011, only two dozen of the beasts were suicide ganked. A large squadron of brave Knights simultaneously undocked from their HQ in Brapelille. Not pictured on the overview: Currin Trading's Catalyst (since somebody has to take the screenshots). 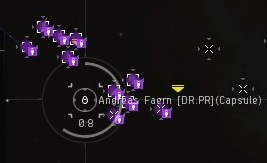 The Knights hopped next door to Ardallabier, and just like that, it was on: Andreas Faern's Orca was aiding and abetting an illegal mining operation in an asteroid belt. He must have thought himself invulnerable to suicide ganking from within the protective grip of his capital industrial ship. But was he? The Knights valiantly stripped away the Orca's shields and armor within seconds. Concord was caught flat-footed, having reported to the scene of an attack of a dozen rookie ships against a Customs Office in the system, about 15 minutes earlier. A diversion! The Knights continued to pound away at the solid mass of EHP. When the Orca reached structure, they hit a wall. 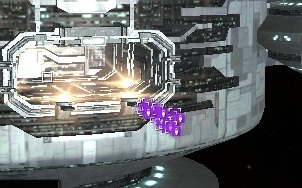 Unlike most ships, which pop after they start taking hull damage, the Orca holds a majority of its EHP in its structure. It steadily creeped into the red. Would victory arrive before Concord and the faction police? Go go go go go! One of the most beautiful things a suicide ganker ever sees: The soft, round shape of a Capsule delicately floating in space. The proof was there for all to see: The Knights of the Order have gained the ability to take down Orcas. (Killmail.) The Orca pilot's pod was squished, but nothing was inside. He had a Hurricane in his ship maintenance array, though. 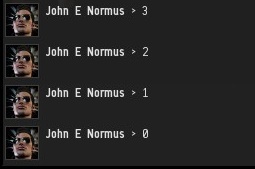 The rest of the fleet's members on the killmail, preserved for posterity. Wescro2 didn't make it to the destination, but his alt had the honour of scouting the target. In this case, the Orca was actually anti-tanked. 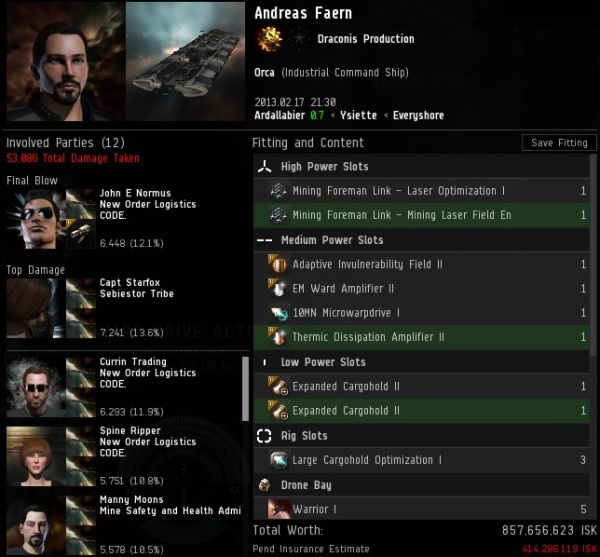 Though he had some shield hardeners, his structure EHP was reduced by his cargo-extenders, with the net resulting of having less hitpoints than an unfitted Orca. 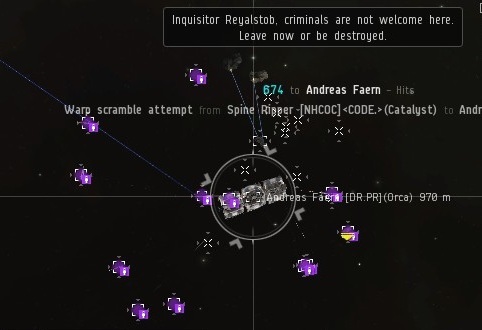 An Orca gank, even if rare, must serve as a lesson to all would-be criminals in highsec. You may think you're hot stuff with your mining and AFK'ing and Code violations, but make no mistake. We can get to you. It may not be today, or tomorrow, or even next week. 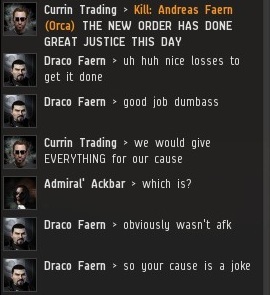 The moral arc of highsec is long, but it bends toward justice. But..... that Brutix did only 1161 points of damage and the least amount of all involved? Actually, that was not meant as ridicule, just wondering. I didn't assume it was. Like I said below, it was the first time we used a mixed fleet, and the gank was about 4 or 5 seconds underway when I came out of warp. Not necessarily. 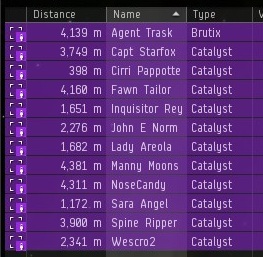 As long as none of the Catalysts died by the time the Brutix opened fire, and as long as there were enough pre-spawned Concord for everyone, the Brutix was ganking on his own separate facpo/Concord timer and didn't lose any DPS, even if he started shooting several seconds later than everyone else. Welp ... the Orca died before I could really get my gank on. At least I made sure the whale died. Besides, that just means we can nuke improperly tanked Orcas with 13 man Catalyst-only fleets \o/ . The orca pilot did his best to aid the New Order. Short of self destructing he couldn't do anymore. Ok maybe never then! It reminds me of the Black Currant's famous battle cry. I don't know the Black Currant, was he a famous carebear who believed the Universe would end in about a week , no matter when you asked him? Well, he could have ejected. 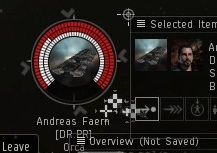 My Bumping alt would have been more than happy to trade his Stabber for a new Orca. 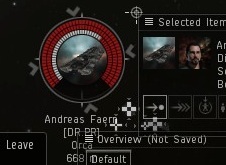 The orca pilot could have fitted the orca way better and could have survived the gank, unless you hit straight away with a second squad flying in. Congratulations to all our valiant Knights involved! Special thanks to our FC, scouts, and Fawn Tailor for bringing his grand vision to reality! "Concord was caught flat-footed, having reported to the scene of an attack of a dozen rookie ships against a Customs Office in the system, about 15 minutes earlier. A diversion!" This line is absolute comic gold. They need to be saved ... from themselves. 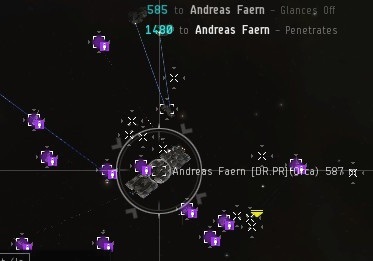 Encourage a bot-aspirant miner to properly play eve. If he continues to mine, he will become a veldspar-entitlement hobo who will probably start beating family members. Help us gank him for his own good. This will cause quite a few beads of sweet on many a carebear brow I'm sure. 53k hp in an orca? what a joke. you won't be able to touch a properly fitted one with 3-4 times that amount. good thing he had his MWD equipped so he could outrun you, lol. What a great victory over a ship without defense. Get something that shoots back before you call yourself heroes.